Oh my gosh, this casserole y’all. 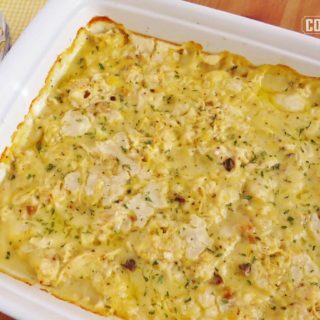 THIS CASSEROLE! Mmm. Mmm. Mmm. 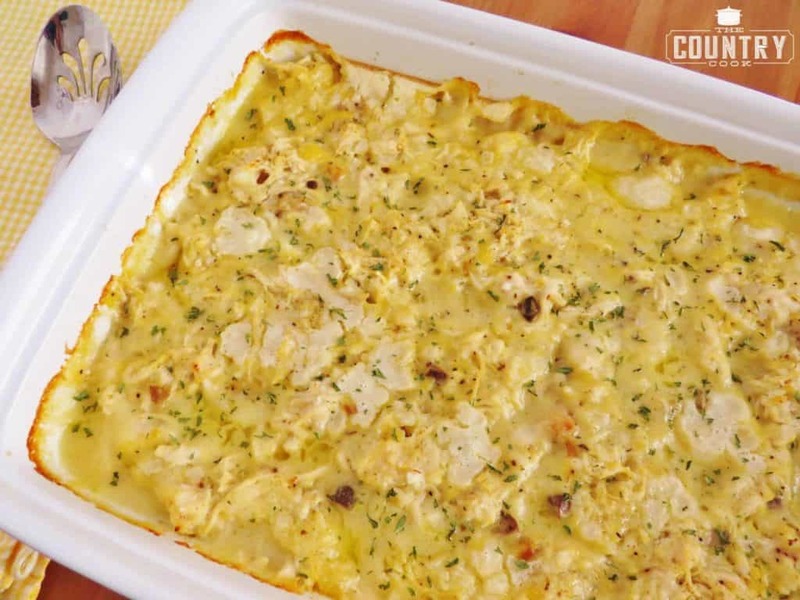 This casserole was knee-slipping, tongue-wagging, sing hallelujah good! I have been singing its’ praises since I made it. I love meals like this! 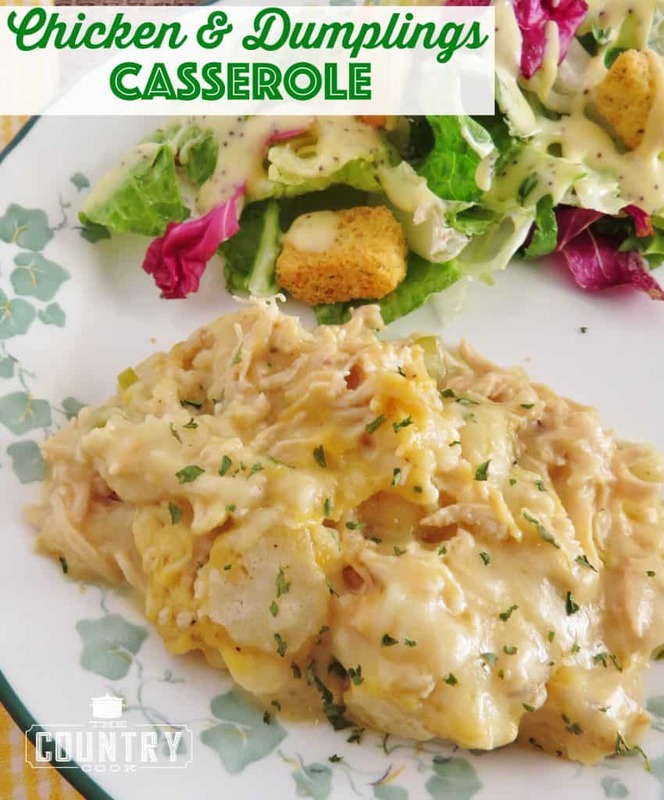 Casseroles sometimes get a bad rap. They aren’t the prettiest things you ever did make but they sure do taste good, huh? This is the food of my childhood right here. You know where I got this recipe? From that cookbook pictured below. 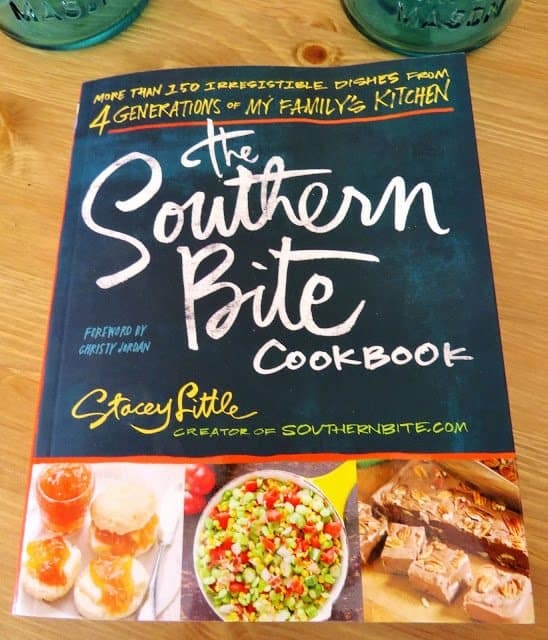 It is The Southern Bite Cookbook and it was written by my friend Stacey Little of SouthernBite.com. Like, I actually know him, know him. We’ve met, hung out and we chat frequently. He’s the kinda fella that when you meet him, you feel like you’ve known him a lifetime. Like he is already your brother, or funny cousin, or that distant relative who you know is from your Momma’s side of the family, you just can’t quite remember if he’s your second or third cousin or someone’s brother? And heck, you don’t really care because you instantly love him and he has you laughing all the time! 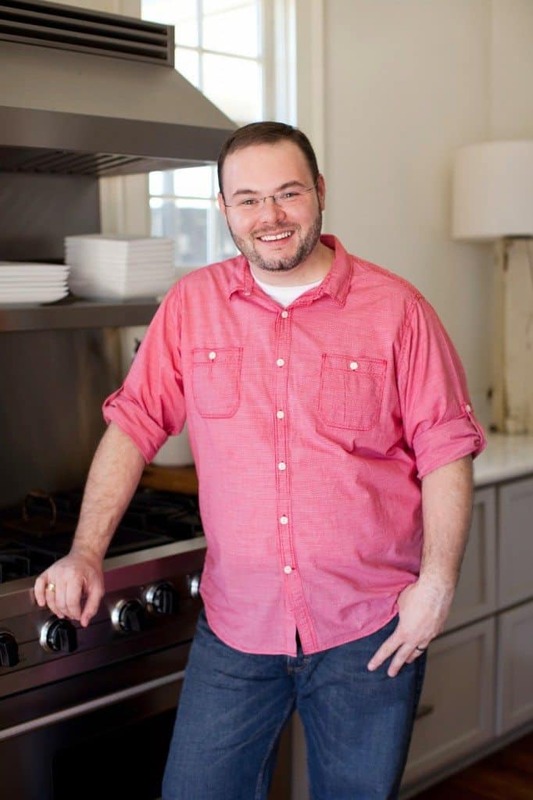 I was so honored when I got to see his debut cookbook before it hit the bookstore shelves. I am floored at how well this book is put together. It’s about family. It’s about history. It’s about love. It’s about the food that brings us together. 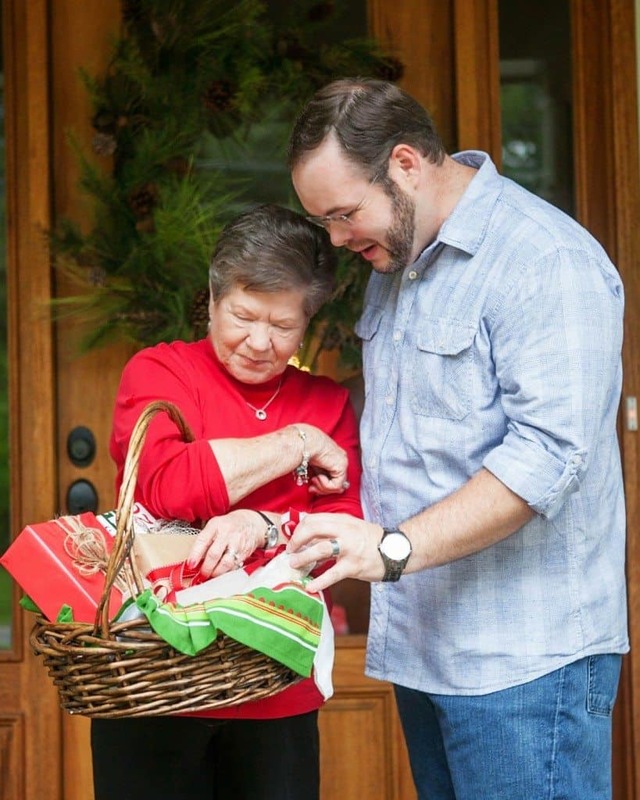 Stacey shares generational recipes as well as some of his newer favorites. 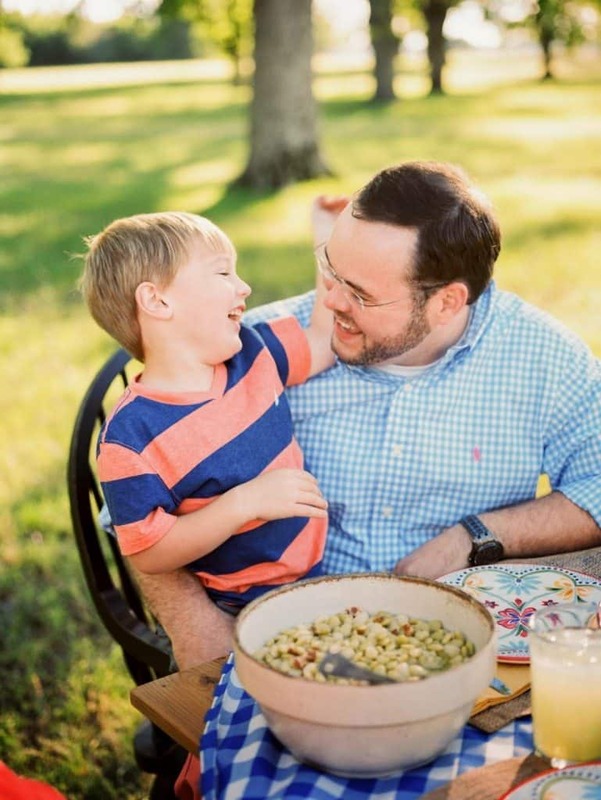 All inspired by the southern food he grew up with. And the pictures of the food. Oh lawdy, the pictures! They are gorgeous! 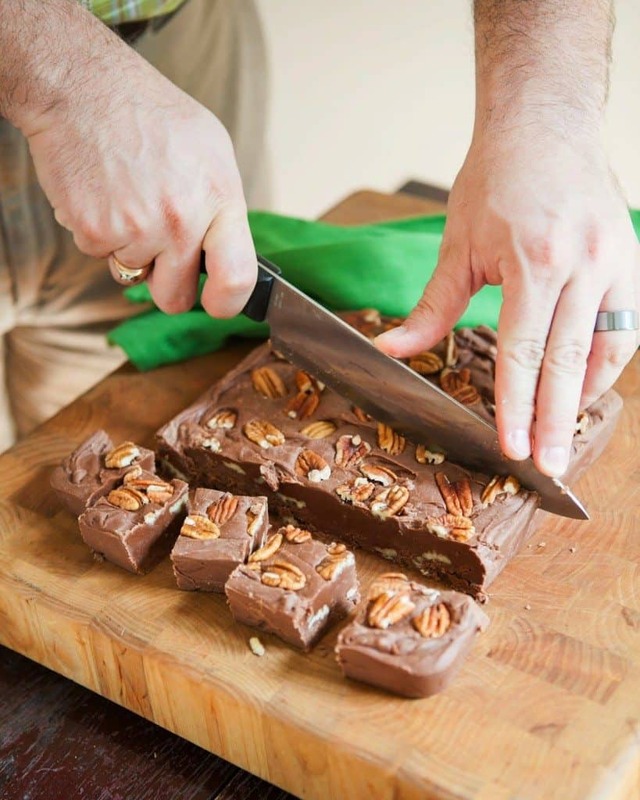 They will make your mouth water. And I have no doubts that when you make the recipes from this cookbook, they will look like this. 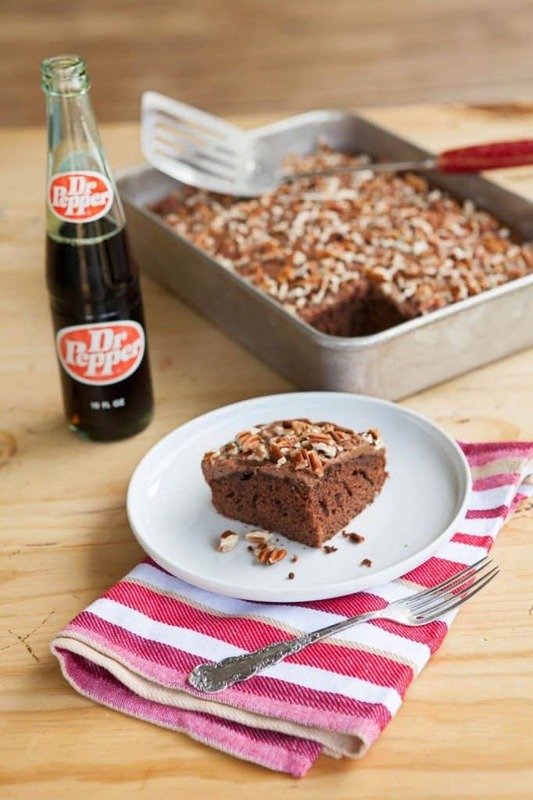 That Dr. Pepper Cake is next on my to-do list. Just sayin’…. These recipes are not pretentious. I call this honest food. It is the everyday food that we sit down and eat with our families or take to potlucks. The book is broken down into the different meal types (Party Bites, Weeknight Bites, Holiday Bites, etc.) And, I’ll tell you something else I didn’t realize I appreciated until I started cooking from his book, each recipe has it’s own dedicated page. Now, I know this might not seem like much but it’s a big deal when you start cooking and you need to refer back to the recipe. You might have your hand covered in flour and if you gotta flip the page to continue reading, well, let’s just say that can be a pain. And some particular words might be uttered in frustration. You’ve been there, right? So now, onto this incredible casserole I made from The Southern Bite Cookbook. There were so many recipes to choose from that I wanted to share. But I knew this had to be the one. It was truly, truly delicious and my whole family cleaned their plates. It was THAT good! Seriously, you *must* make it. You’ll thank me and Stacey later. A couple of notes here: This does require self-rising flour, not all-purpose flour. I always keep a small bag of White Lily self-rising flour in my pantry. It’s great for making Cream Biscuits and I don’t need a huge bag since I’m not using it all the time. Self-rising flour has all those leavening ingredients already added to it. 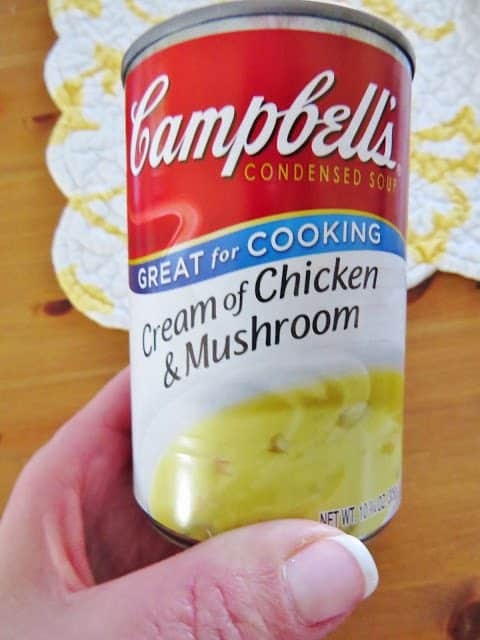 Also, I used the Cream of Chicken & Mushroom soup. I loved the added flavor it gave this dish even though no one in my family likes mushrooms. Surprising, huh? But they gobbled this stuff up! I’m sneaky like that. Also, you can use rotisserie chicken for this to make things easier on you. I got chicken breasts on sale the other week so I bought a bunch. All I did was boil the chicken until cooked, then shredded it in my stand mixer, see HERE on how to do that. Preheat oven to 350F degrees. Spray a 9×13 baking dish with nonstick cooking spray. 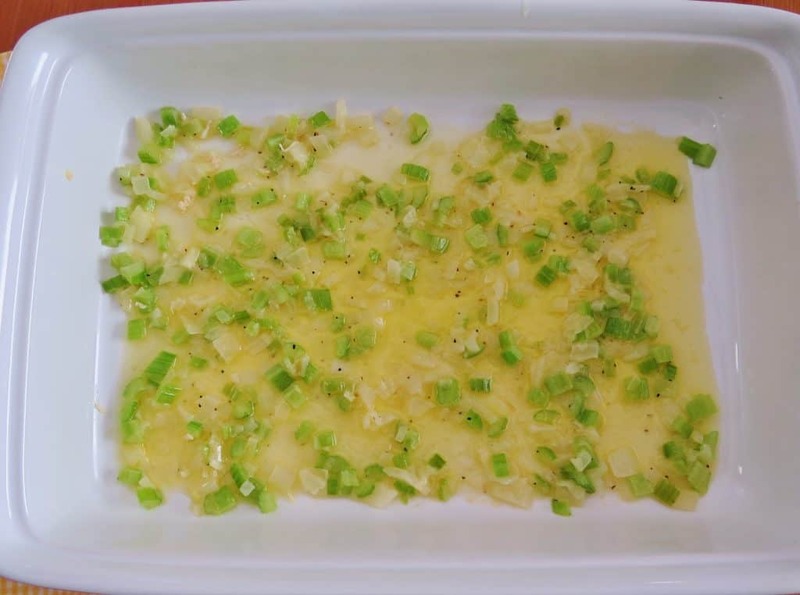 In a small skillet over medium heat, melt the butter and add chopped onion and celery. Cook for about 8-10 minutes (until veggies are soft.) I seasoned my veggies with just a little bit of salt and pepper and I just let the butter melt as the veggies cooked. Pour the butter and veggie mixture into your prepared baking dish. 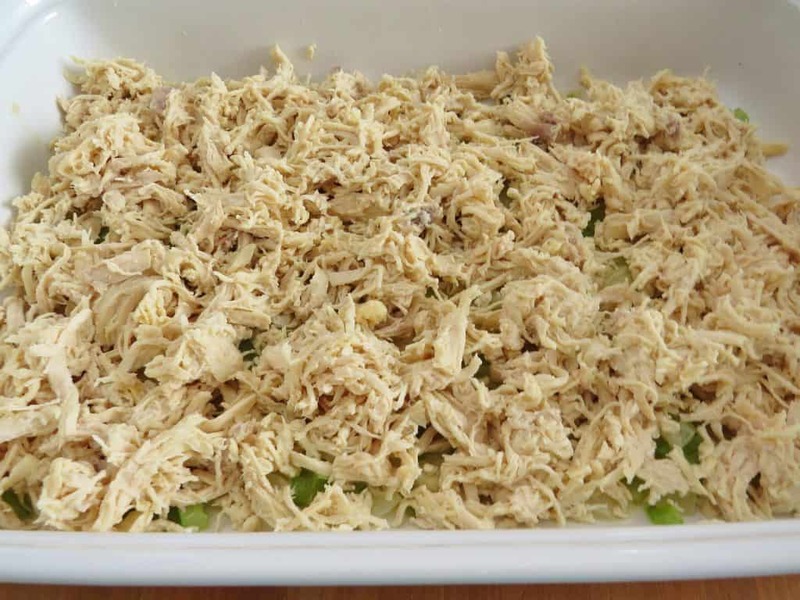 Add the shredded chicken in a layer on top of the vegetables. Note: I seasoned with just a little salt & pepper here too. In a small bowl, combine self-rising flour with milk. 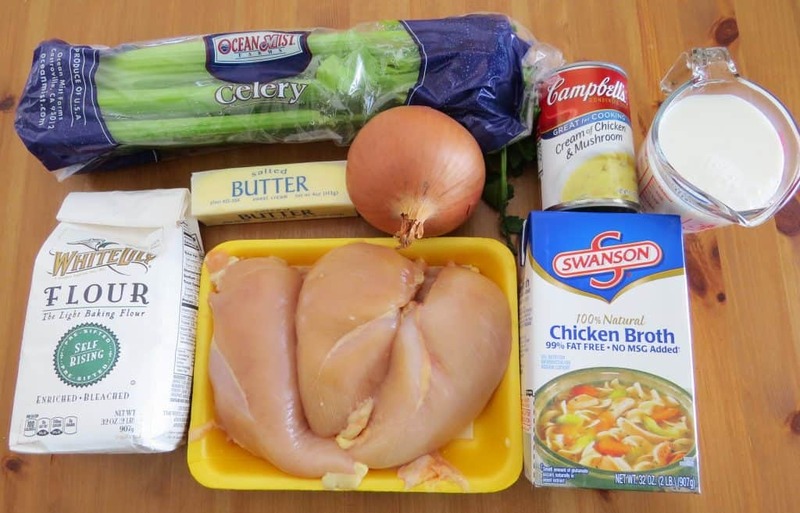 Pour this mixture over chicken (do not stir the layers.) In another bowl (I just used the same one that I mixed the flour and milk, less dirty dishes, right?) 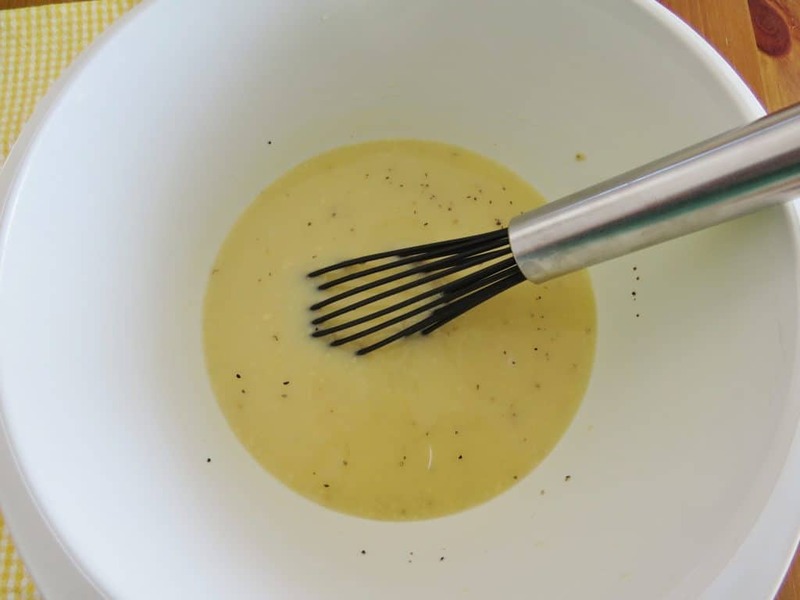 combine the chicken broth with the cream of chicken soup. Season this with a bit of salt & pepper. Pour this mixture over the chicken. Do not mix the layers. Then bake for about 40-45 minutes or until the casserole is set. Everyone’s oven heats just a little differently. It’s just how it goes. My oven has a hot spot in the back right hand side so I always have to rotate my dishes while cooking. So this took about 50 minutes in my oven. I sprinkled with a bit of dried parsley when finished cooking. This step is totally not necessary but it helps brighten up the casserole just a bit. I know my pictures do not do this recipe justice but we absolutely fell in love with it! The flavor was amazing and it was a family-pleaser for sure! Serve with a salad and your favorite veggie. 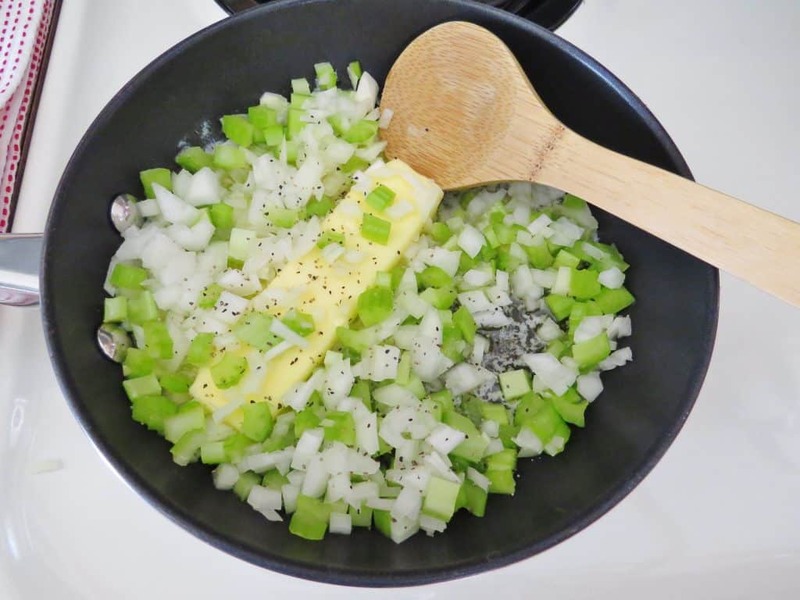 In a small skillet over medium heat, melt the butter and add chopped onion and celery. Cook for about 8-10 minutes (until veggies are soft). I seasoned my veggies with just a little bit of salt and pepper and I just let the butter melt as the veggies cooked. Add the chicken in a layer on top of the vegetables. In a small bowl, combine self-rising flour with milk. Pour this mixture over chicken (do not stir mixture). 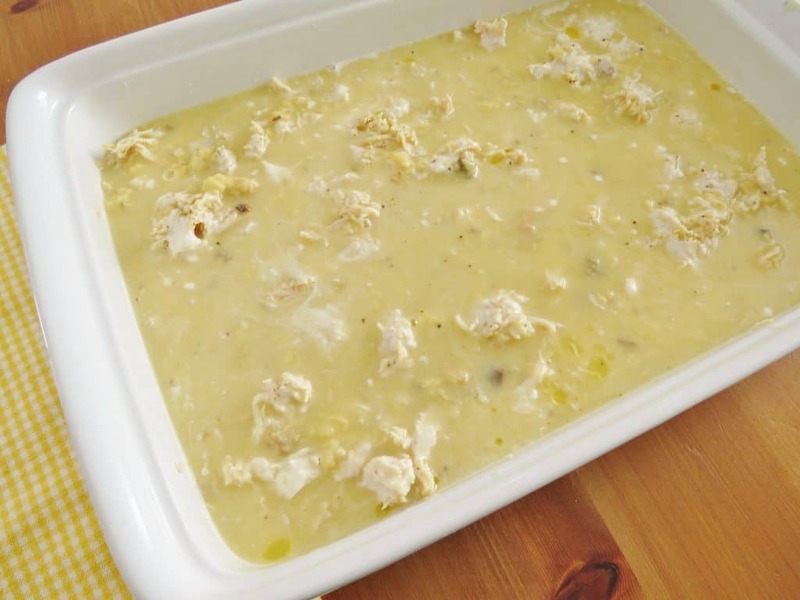 In another small bowl combine the chicken broth with the cream of chicken soup. Season this with a bit of salt & pepper. Pour this mixture over the chicken. Do not mix the layers. Then bake for about 40-45 minutes or until the casserole is set. 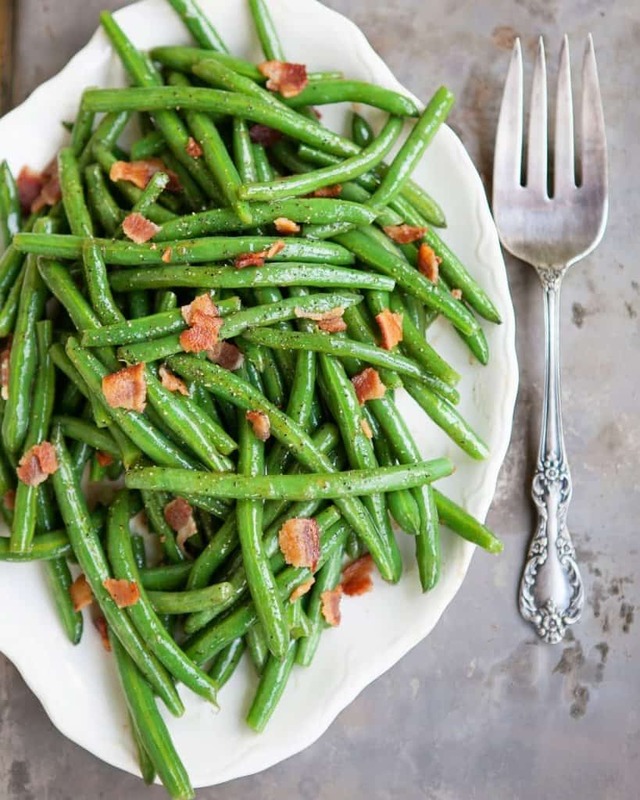 Serve with a salad and your favorite green vegetable! I tried making this but it seems like there was too much butter, I had to cook it over an hour so the butter wasn’t sitting in the middle, or is it supposed to be like that? I never had much luck making dumplings. I tried the chicken and dumpling casserole and it was great. So happy you finally had some success – yahoo! This recipe was so delicious and flavorful. I followed the recipe with a few minor changes…I didn’t have the self rising flour I followed the advice of another commentor to add 1/2 tsp baking powder and 1/2 tsp to regular flour. I added about 6 baby carrots chopped up to the celery and onion mixture and I added a cup of sharp shredded cheddar cheese to the chicken then topped it off with some French’s Crispy fried onions. YUM! Pure comfort food. I will most definitely be making this again. I am no kind of cook at all so don’t laugh at my question. Does Bisquik and self rising flour work the same way? Hi Pam – there are no silly questions here! It does actually. The big difference is that Bisquick also has vegetable shortening in it – which makes it simple for making biscuits. So, you would need to add some sort of oil or real butter to self-rising flour to make it work the same way. Does that make sense? This recipe looks fantastic! Do you think I could substitute Bisquick for the self rising flour? Also, in the interest of saving dirty dishes, lol, I highly recommend using two large forks to shred the chicken meat. Do it while the chicken is still hot, it works really well! Looking forward to making this soon. 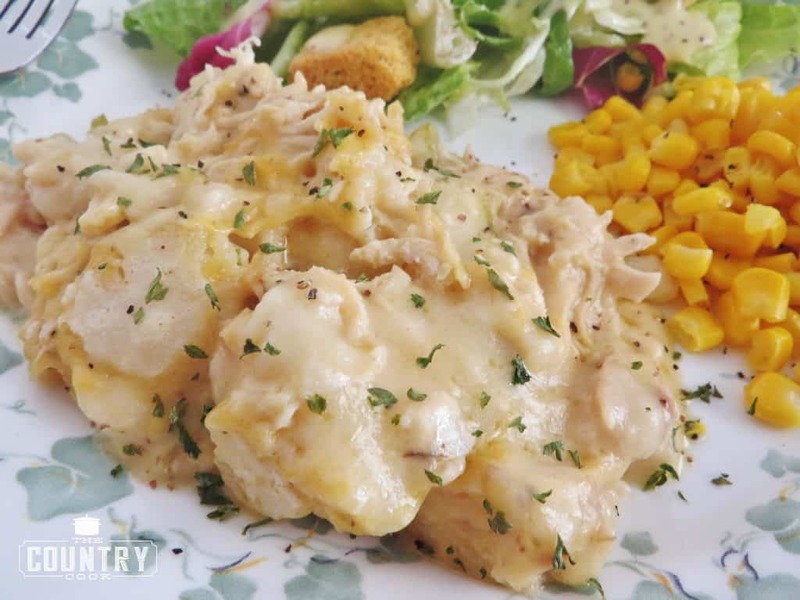 I will toot my own horn and say I believe I make some of the best chicken n dumplins in the south….but this casserole is wonderful and everyone at my house loves it! I also exchange beef (like stew beef) and cream of chicken soup for cream of mushroom and exchange the chicken broth for beef broth. Wonderful! Add some veggies too! Toot away!! Ha! I love the beef version too!